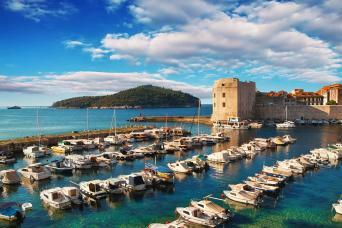 Discover the authentic charm of Croatia on a self guided walking holiday in Croatia. The country's popularity as a holiday destination has grown steadily since the mid 90's - an online search for 'Walking Holiday Croatia' yields over 2 million results which gives an idea of the fantastic walking in Croatia. 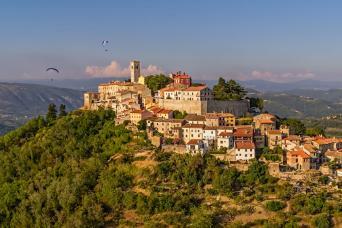 Often referred to as the “Adriatic Tuscany”, walking in Istria is sure to charm you with its medieval hilltop villages and wonderful gastronomy, while the rich history and stunning beauty of the Dalmatian Coast and Dubrovnik and its isles are sights you will never forget. Your walking holiday in Croatia will be filled with magnificent rolling landscapes and sparkling turquoise coastline while discovering a relaxed Adriatic way of life. We have carefully selected and researched our favourite walks so whatever your interests we can arrange your ideal walking holiday in Croatia. Discover the beautiful city of Split and ferry hop from the Dalmatian Coast to the islands of Brac and Hvar. Sample the celebrated wines of Croatia while you explore the stunning UNESCO World Heritage Site of Dubrovnik's fortified Old Town.